Sara Martin is a qualified English teacher. She runs Hamilton Idiomas, a Language School in Sopelana, a town near Bilbao. From a very young age, her English grandmother shared with her the love for her country, language, culture and people. Sara had lovely memories of many childhood summers in England improving her English, so she decided to give her students and friends’ children the same opportunity. For 30 years now all the students she has brought have been referred to her by previous customers. This level of customer satisfaction could not be achieved without the personal attention that Sara and her colleagues in England, dedicate to the welfare of the students. Sara interviews the Spanish students to make sure that they understand what it is involved and that they are mature enough to undertake the trip. During the interview Sara learns about the child’s interest, personality and family environment. This interview is very important as it helps to find the best match for that child in England. In the summer, Sara travels with the group to England and stays here a few days to make sure everyone is settled. She comes back at the end of the stay to take the children back home. In the meantime her proffessional colleagues make sure everything runs smooth for everyone involved. CELINA DE CORES-YATES, Host Family Organizer. Celina was born and raised in Uruguay, thus she is a native Spanish speaker. Celina has been living in England since March 2000 resided immersing herself in, and assimilating to British culture, becoming a British citizen in 2006. She has recently married and settled in Christchurch, Dorset. Throughout her working life Celina has worked with a wide range of people from diverse social, cultural, and ethnic backgrounds and offering a wide range of problem-solving services. The experience of working directly with the public has been important in shaping her both personally and professionally and has attributed to her excellent interpersonal skills. As part of her role in the Learning Exchange Programme, Celina visits with the English host families to get to know them in their home environment and explore their expectations with a view to establishing the best match for both visiting children and host family. Finding out about the personality and interests of the children is crucial, as this information is used to find the best match for the family. When the ideal match has been identified, she will deal with any concerns or queries the families may have before and during the placement. 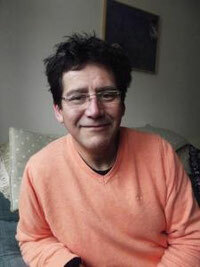 CARLOS ARTURO MOGOLLÓN-PÉREZ, Host Family Organizer. Carlos has a robust and rich intellectual profile: on top of his original university training as physicist, he is currently in his fourth year of philosophy at the University of Paris. His interests cover a wide range of areas, from politics and arts to education, sciences, cooking and writing. Multilingual (English, French, German, Italian, Latin and Spanish), he has worked as a translator and as a language teacher. He has a genuine interest in people’s problems and concerns, hence his strong experience of working with the community. His love for traveling and his language skills are a testimony to the importance he places on cultural exchange as a privileged means to develop our potential as fully aware, open minded, well-equipped and autonomous persons in today’s global and complex world. This and his interpersonal skills enable him to act as a strong and reliable link between all the actors taking part in our Language Exchange Program; and to secure all the necessary support to children, families and schools so that it becomes the optimum experience you all expect and we are thoroughly committed to guarantee. Carlos and his wife (an islander) have two daughters aged 17 and 13. After many years in Spain, France and Colombia, they decided to move back to the Isle of Wight where they have been living for the last five years. LINA MARIA RESTREPO-TREBBLE, Host Family Organizer. Lina Maria was born in Colombia, South America. She moved from Colombia to Sherborne, Dorset, in December 2010, where she lives with her English husband and her daughter, now at University. After leaving school she became a teacher and worked at some well known Convent Schools in Colombia. 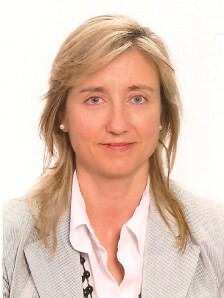 She specialized in teaching Mathematics and Spanish to a wide range of children from the ages of 7 to 14 years old. In her spare time she used to coach children with learning difficulties, a part of her career she finds very rewarding. She is very enthusiastic, with a pleasant and friendly personality. She brings sparkle and enthusiasm to all. She is also trustworthy and she takes great pride in doing a good job. She is very flexible, understanding and shows great motivational skills, features that make her a good family coordinator. She believes it is important to give each child individual attention because each person has different needs: “If we want our children to grow up emotionally and physically healthy we need to make an effort. It is a great pleasure to watch and help children grow up to be well-rounded adults”. As well as helping us find families in her area, she is currently giving Private Spanish lessons to students all ages. Lina has many skills one of which is the ability to be able to understand people and empathize with their needs. She can bring out the best in people and in turn give happiness and life experiences. 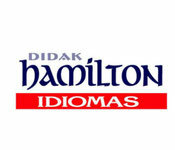 That is why we consider her a great asset at Hamilton Idiomas UK. Ana is a native Spanish speaker as she was born and lived in Uruguay until 2015. 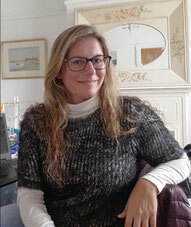 She lived in Christchurch and worked at Bournemouth University back in 2015 and returned to Dorset County in February 2018, where she is living now. She has wide experience working in international Companies as an administrative Manager and also as a Business and Data Analyst in the IT Industry, developing the ability to interact with different people with a different range of customs. She also has experience as a teacher, teaching students at first grades IT databases. She is very keen on children. She has worked in many activities related with them such as teaching children how to cook, observing the whole process of growing vegetables from planting to eating, doing arts and crafts, going camping and Sports competitions. All these activities require abilities that match with Ana´s personality, specially being patient and being able to understand children´s needs. She has variety of interests which include a passion for traveling, spending time with her family, and doing activities with her nieces and nephews. Whenever she gets the opportunity to do so, she likes socializing with friends, doing outdoor activities as well as practicing sports such as jogging, handball, cycling and water sports.